A Newcastle office building is set to be transformed into dozens of new residential apartments via a £10m investment. Lok Developments has acquired Eagle Star House in Gosforth, the former North East home of the DVLA, and is converting the nine-storey building into 54 residential units, including studio flats and one and two-bedroom apartments. Work has now begun on the building’s refurbishment, which is being led by Newcastle-headquartered Kapex Construction. Apartments in the first phase of the development are expected to be ready for viewing before the end of the year. Lok Developments is also applying for planning permission to build further storeys on top of Eagle Star House. If these plans are approved, the developer will invest a further £5m in creating additional apartments and duplex penthouses. A decision on the planning application is expected in the autumn, and if the second phase wins approval from Newcastle City Council, the ground floor of Eagle Star House will be converted into residential accommodation along with landscaping and enhancements planned for the public realm surrounding the building and within the existing car park. The Lok Developments management team has worked with Gosforth-based RMT Accountants and Business Advisors on all aspects of the acquisition and is now continuing to look for development projects and sites around the region. 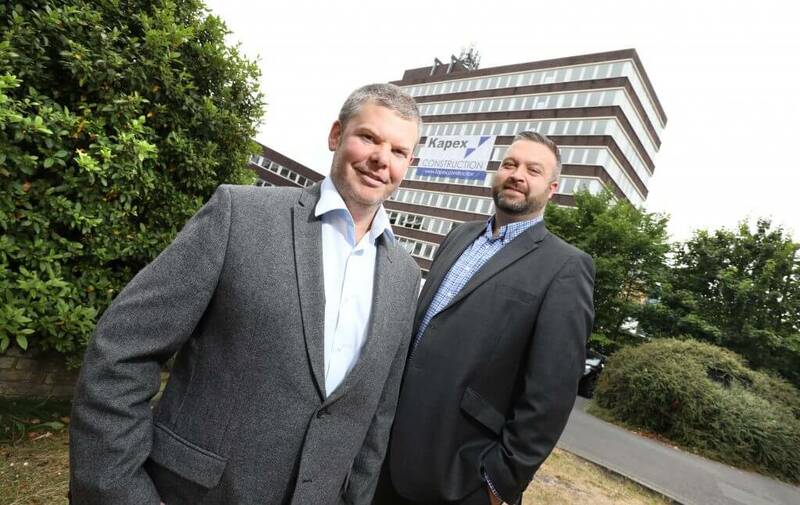 More than 50 people are expected to be employed on the project, with Kapex Construction committing to using a range of local contractors and consultants alongside its own personnel. Gary Morton, managing director of Lok Developments, said: “Eagle Star House is a real Gosforth landmark that many people will have visited over the years and it’s exciting for us to now have the chance to shape its future development. “It’s in an incredibly prominent position that’s very close to transport links that will take you quickly into and out of the city centre, and sits alongside every amenity that anyone could ask for, so we’re expecting the Eagle Star House scheme to prove extremely popular. “Our bespoke ideas for creating new rooftop apartments will add an extra dimension to Eagle Star House, and we’re hopeful that our creative ideas will give us the opportunity to further increase our investment in the project. Matthew Flinders, head of marketing and business development at RMT Accountants, added: “This is a fantastic project that will give a longstanding Gosforth landmark a new lease of sustainable life.